According to Mr Cookingfanatic, “nobody likes green beans.” This green bean merchandise shows this is patently untrue (a bargain at £14.20). However, they’re certainly not his favourite, so I was interested in this way of jazzing them up. Lorraine says her family can’t get enough of them, when cooked this way. You boil the green beans for about 3 minutes (depends how crunchy you like them). Meanwhile fry some sliced spring onions. 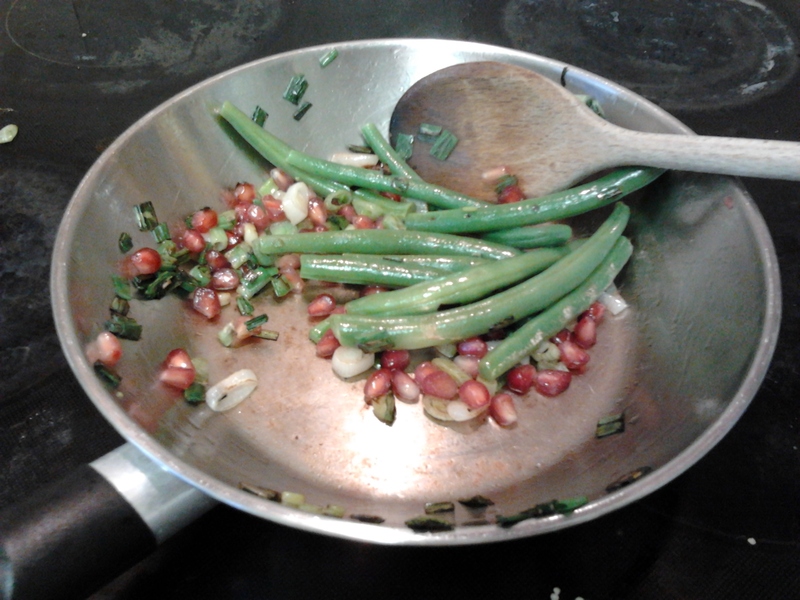 Then drain the beans and add to the frying pan with a handful of pomegranate seeds and fry for another minute. These are probably best served with something like roast chicken so there isn’t too much of a confusion of flavours. I think the plate looks almost Christmassy! 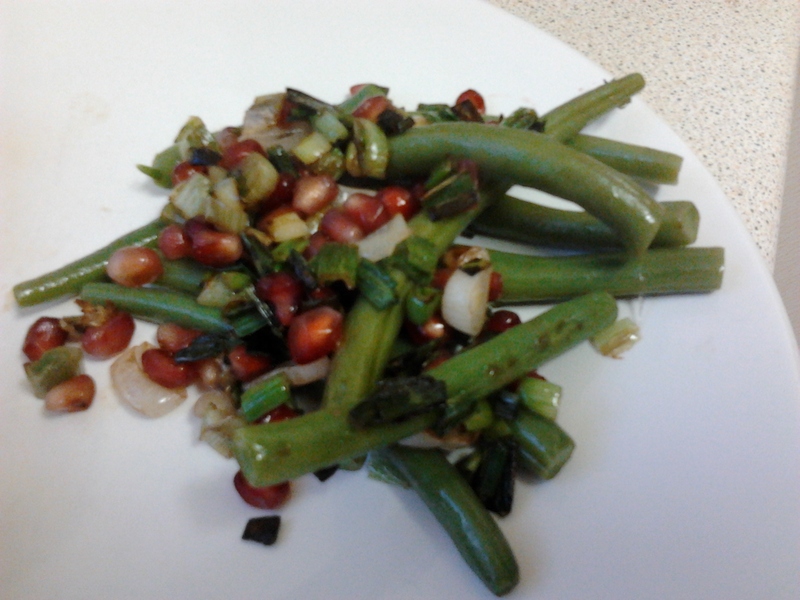 They went down well with Mr Cookingfanatic and it’s very little effort for a greatly improved taste. 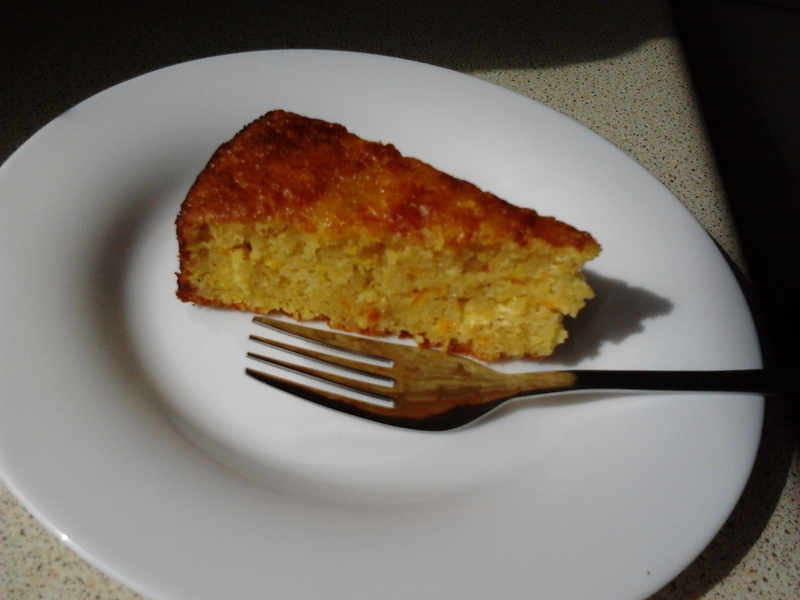 I also made this week John Torode’s dairy-free citrus cake. 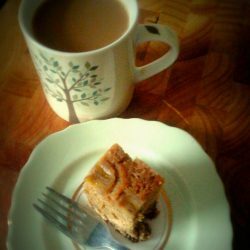 The mystery ingredient is olive oil, which you wouldn’t guess it contains. 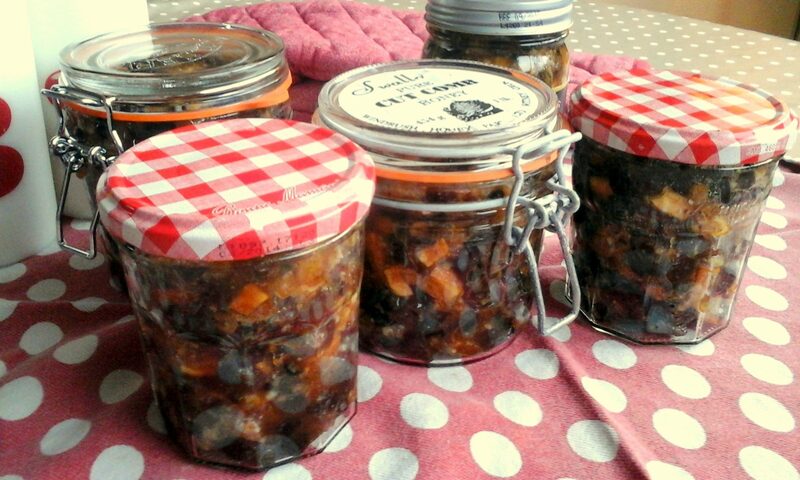 The recipe is quite fussy, but I followed comments at the bottom from “Alison” to make it easier and save on washing up! I served with ice cream and raspberries.